BillHendricks.net: Oh, For Teachers Who Are Gifted to the Task! Would you allow an incompetent brain surgeon to operate on your child? Would you put your 7-year-old on a plane with a pilot who really doesn’t really care about his job? Would you entrust your little one’s financial future to a financial advisor who would rather be playing golf? Well, then, why do we allow ineffective teachers to dominate our schools? Students who strongly agree that their school is committed to building students’ strengths and that they have a teacher who makes them excited about the future are almost 30 times as likely to be engaged learners as their peers who strongly disagree with both statements [according to a 2013 Gallup Student Poll]. However, less than half of students strongly agree that they get to do what they do best every day, and nearly seven in 10 K-12 teachers are not engaged in their work. Did you know that? A full 70 percent of America’s teachers reported to Gallup that they are not engaged with their work. Gallup describes “engagement” as the extent to which a person feels emotionally attached and involved in a task. Look, I know that schools and teachers—especially in the public educational systems—are having to contend with insane problems related to family breakdowns, poverty, mental and psychological health issues, and other ills of America’s underclass. 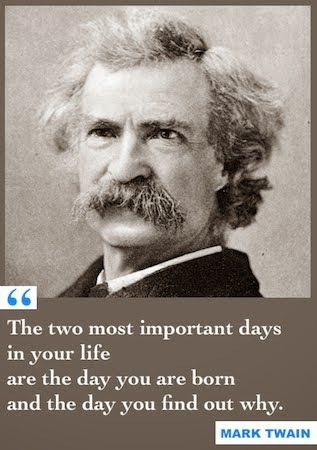 The key to educating our youth is to put them under the influence of people who are actually gifted to the task of causing learning to take place. 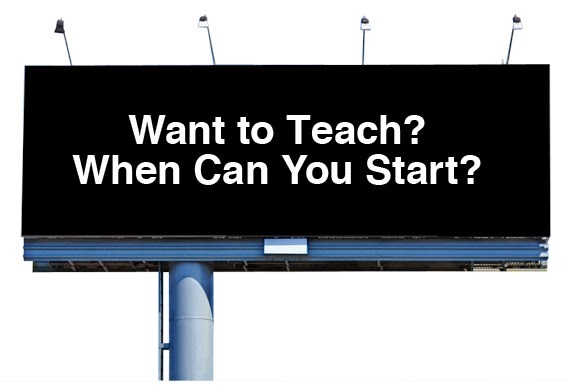 I want to scream every time I see the billboard that reads, “Want to teach? When can you start?” The Texas Teachers organization thinks that makes a great recruiting slogan by showing people how “easy” it is to sign up to teach. I think it’s an insult to the educational process! I mean, is public education now just a jobs program for people who can’t get a job anywhere else? “Fixing” the schools is about as complicated and seemingly impossible a task as ”fixing” the tax system. There are so many factors, so many players, so many entrenched, systemic policies and bureaucratic behemoths and political angles in the mix that countless well-intentioned crusaders for change have run screaming from the building or else been escorted away to an asylum by men in white uniforms. So I make no summary statements as to what ought to be done, lest I speak as a fool. But I will say this: whatever is done with the schools had better come down to creating and sustaining a process and an environment whereby the people who are truly gifted to the task of teaching are recruited into the classroom, and then resourced and given every opportunity to do what they do best. In other words, in my perfect world teachers would be to be treated like gods, the way professional athletes currently are. If they were, I guarantee we’d see more of the best and brightest among us signing up to teach—people capable of living up to our expectations for what a teacher should deliver. And if that were to happen, we’d begin to see the giftedness of students unleashed through the educational process. The way we’re going will not end well. Because no culture that allows its youth to grow up without learning what their strengths are, and what is genuinely valuable to know and to do, will stand. Bonus factoid: U.S. teachers are dead last among twelve occupational groups studied when it comes to feeling that their opinions count at work (Gallup). Question: What ideas do you have for recruiting gifted teachers and keeping them engaged in their work?